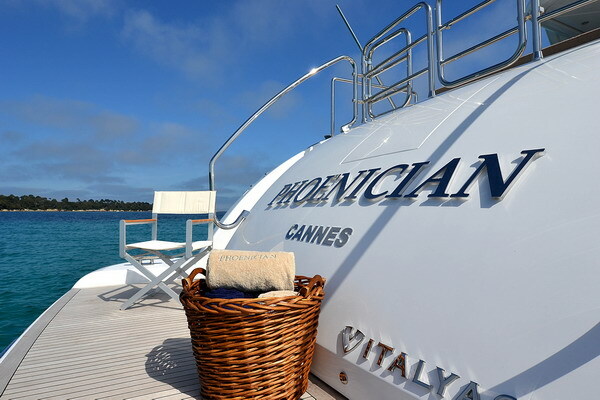 The elegant 34-metre motor yacht Phoenician is a beautiful Italyachts 34 planning/sports boat, delivered by Rodriguez Group in 2013. 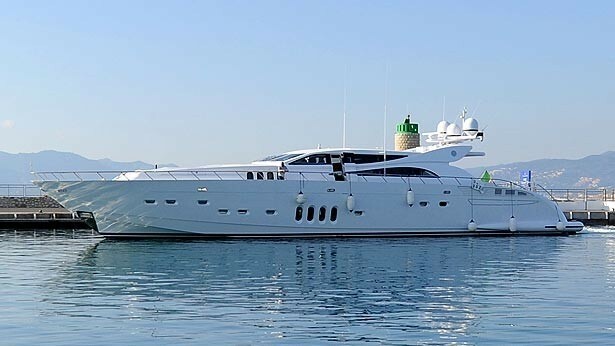 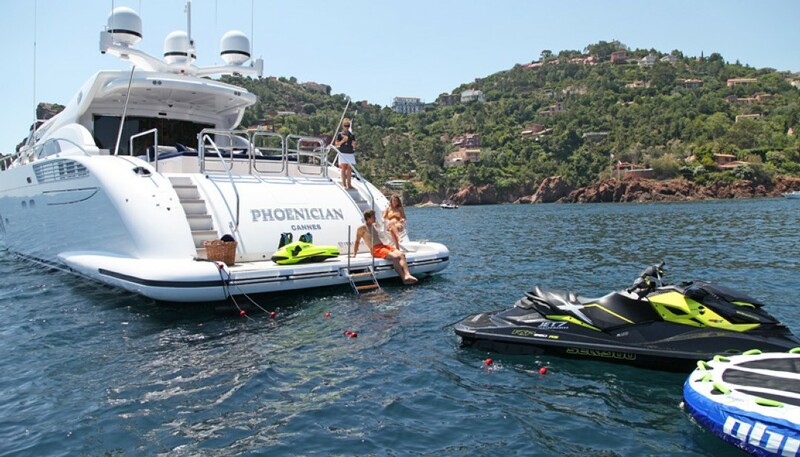 Featuring sporty design and generous amenities, Phoenician superyacht is designed by prominent Italian naval architect, Andrea Bacigalupo. 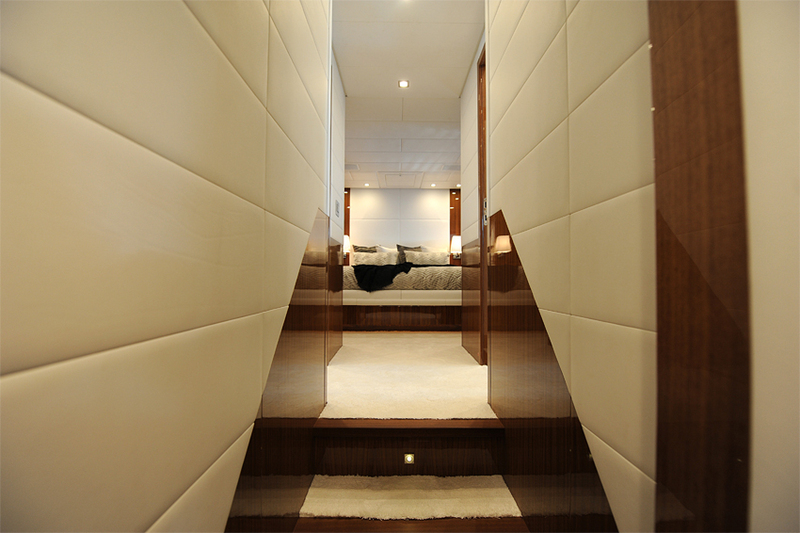 She bears lovely interior design by renowned Cristiano Gatto. 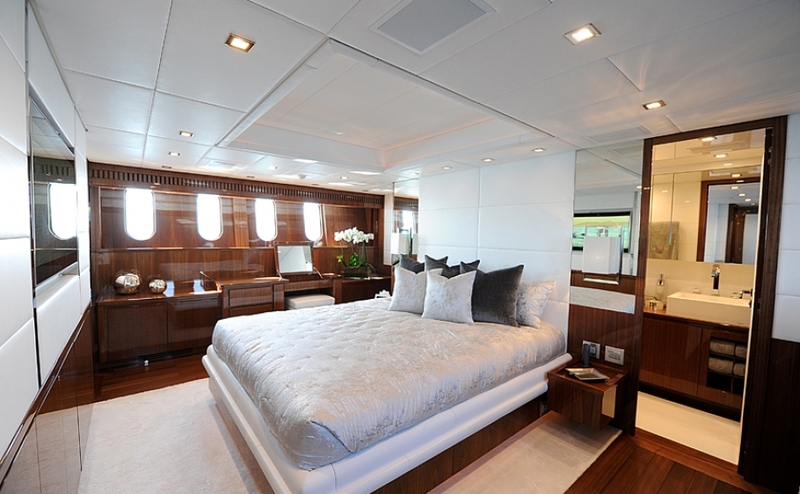 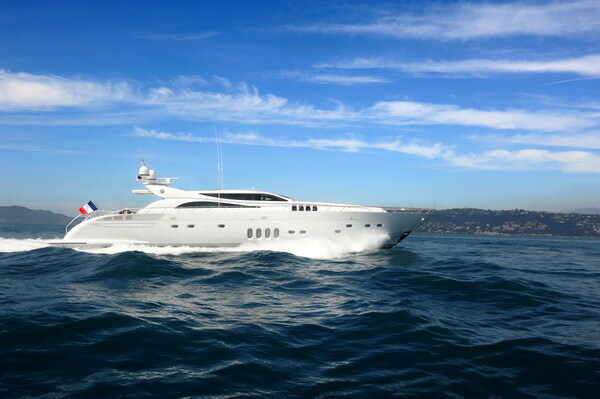 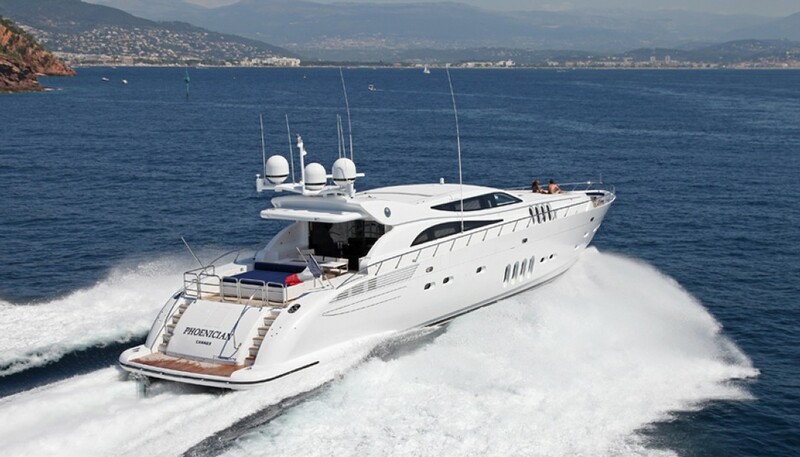 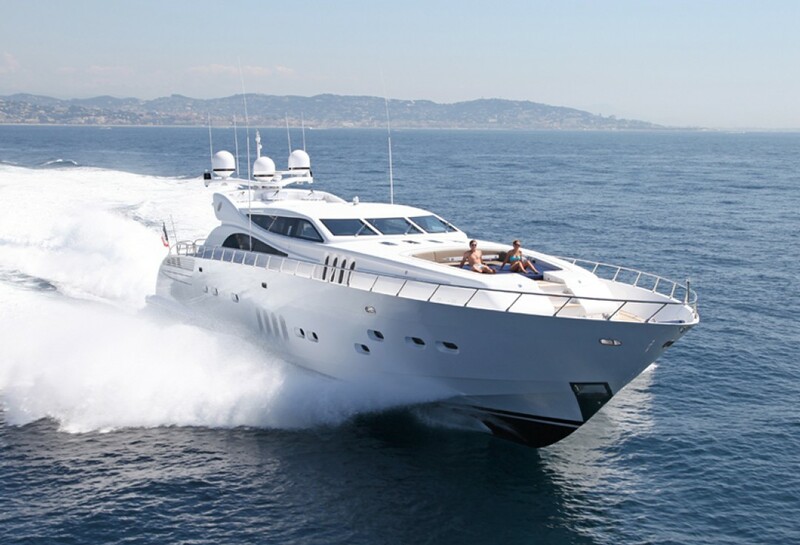 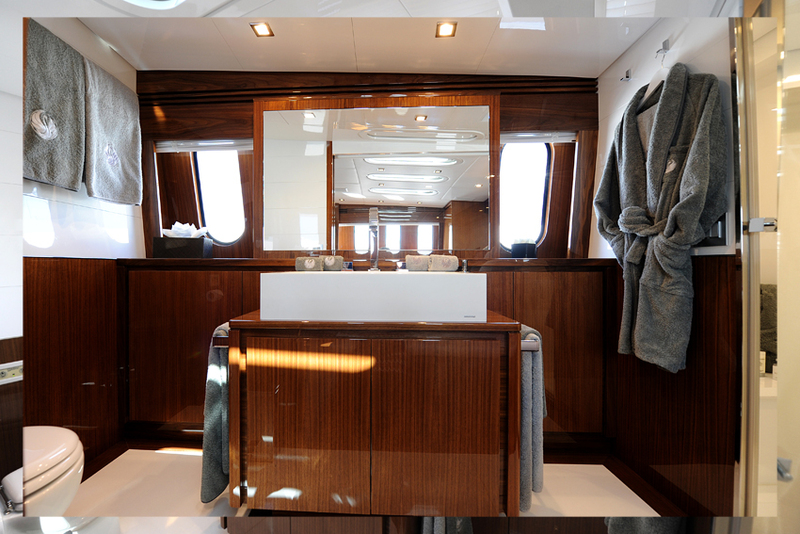 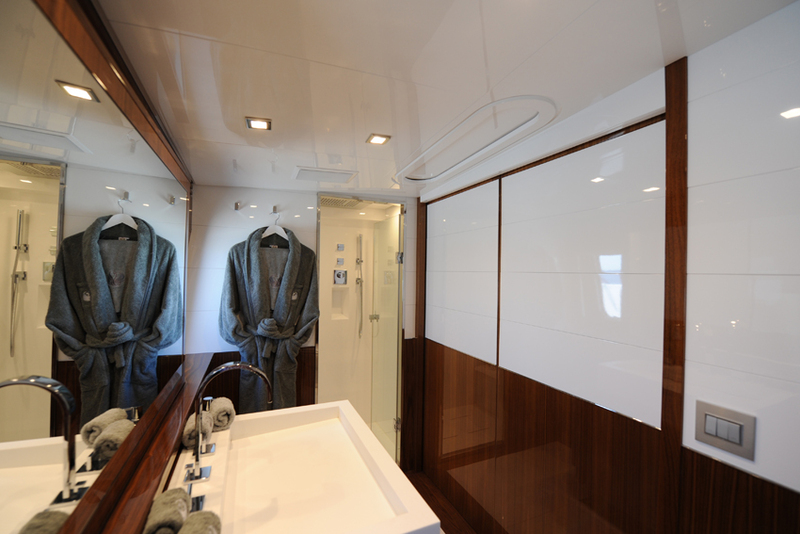 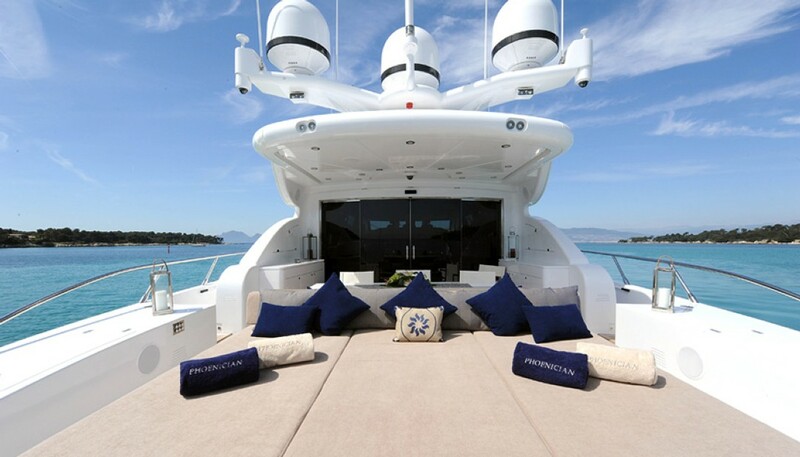 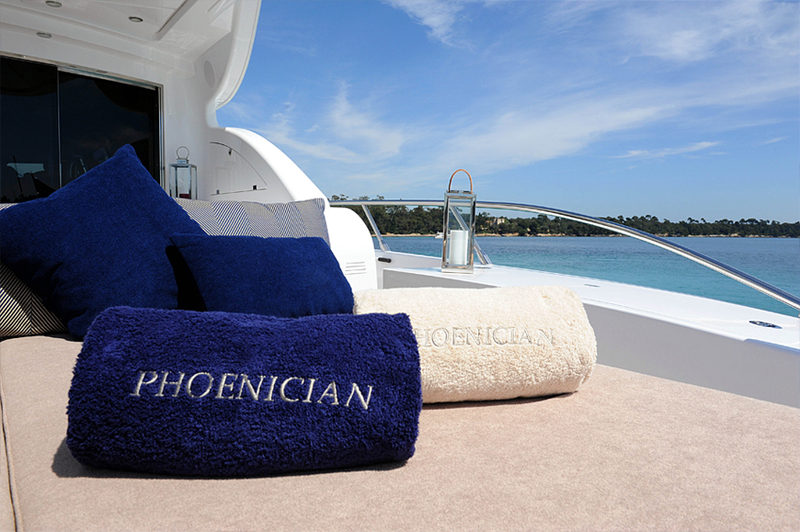 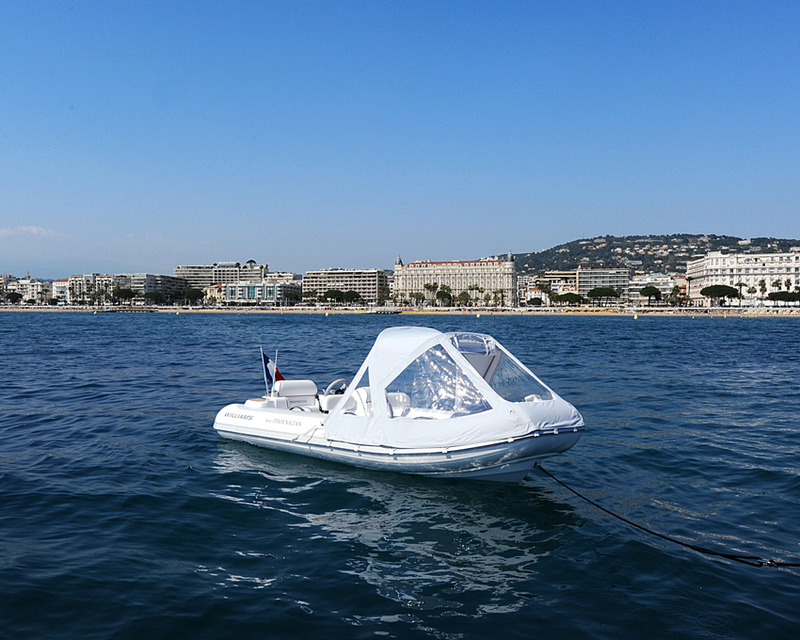 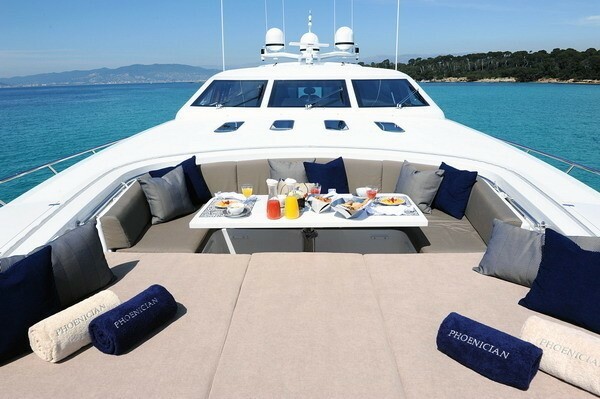 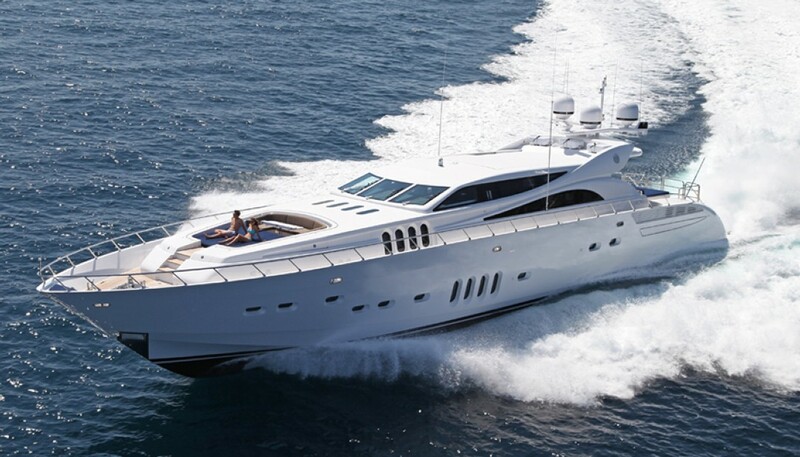 Guests aboard Phoenician are provided with five magnificent cabins. 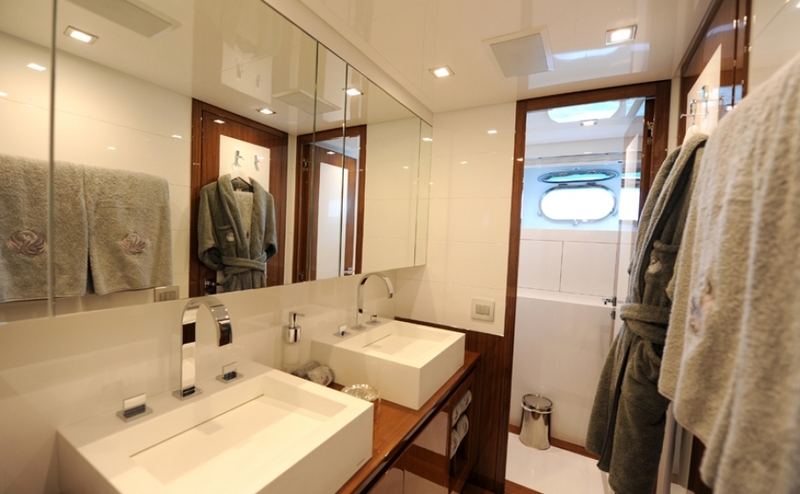 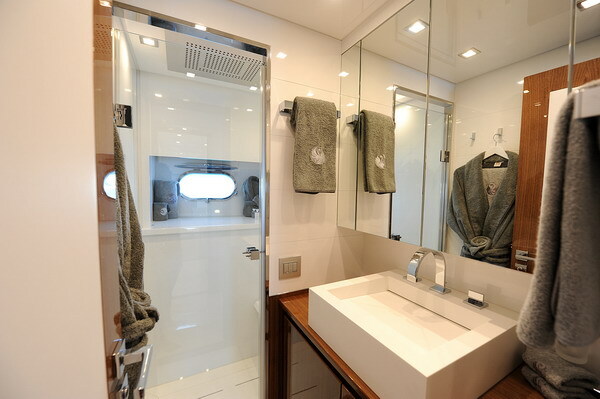 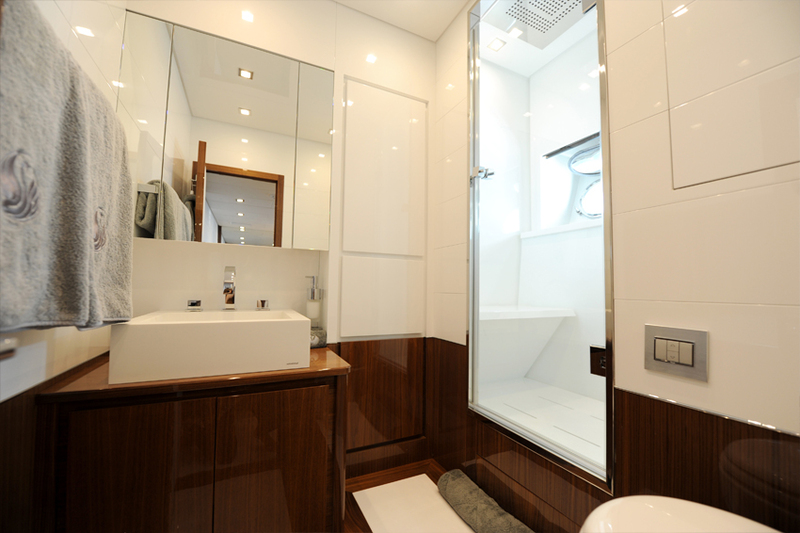 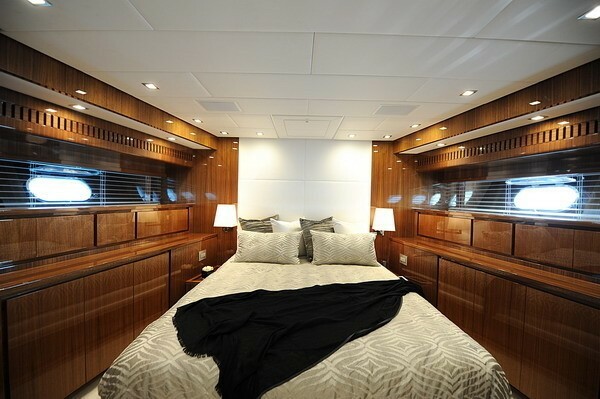 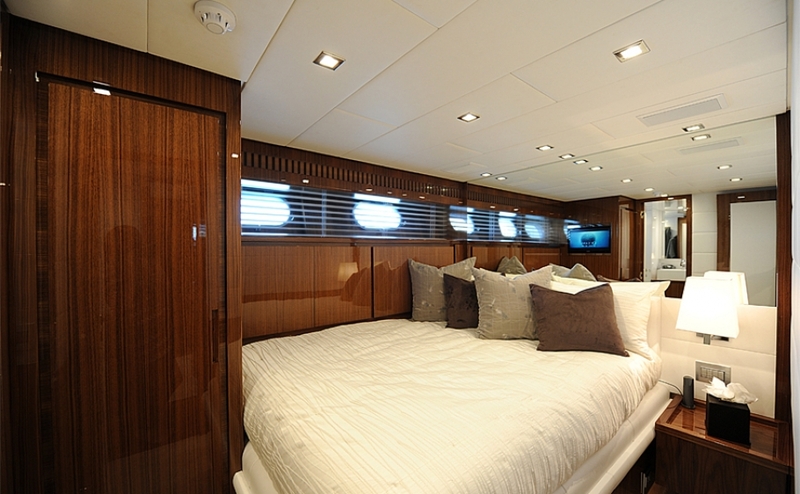 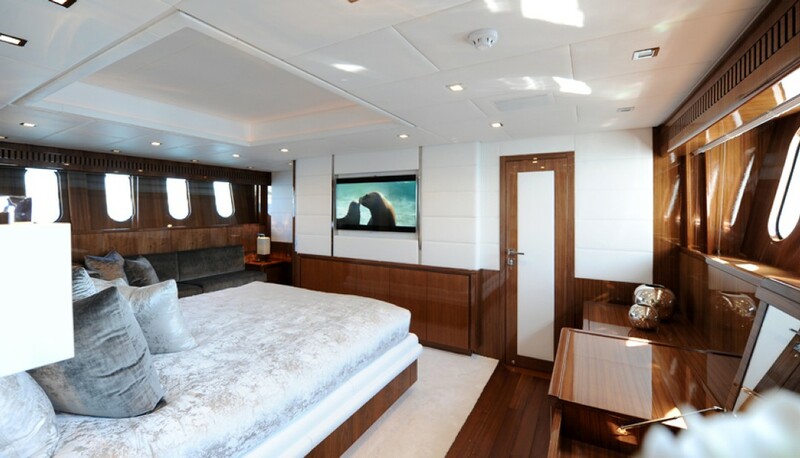 There is an amazingly spacious master cabin, featuring huge clothes cabinets, a large sofa, and a vanity, as well as big portholes offering fantastic views of the outside. 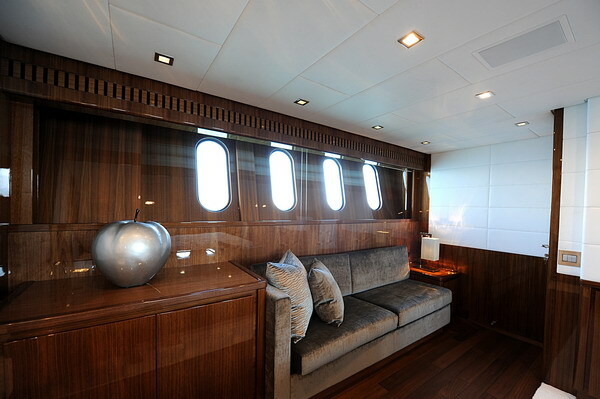 Also, there are two VIP cabins, one double and one twin cabin. 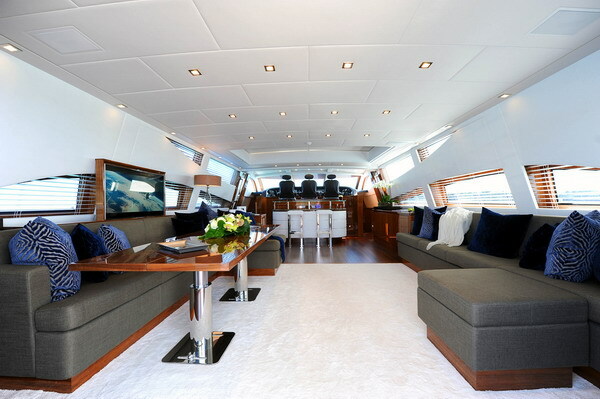 The top deck boasts the main saloon that opens onto a lounge area on the starboard side with a large sofa in deep blue and sandy tones. 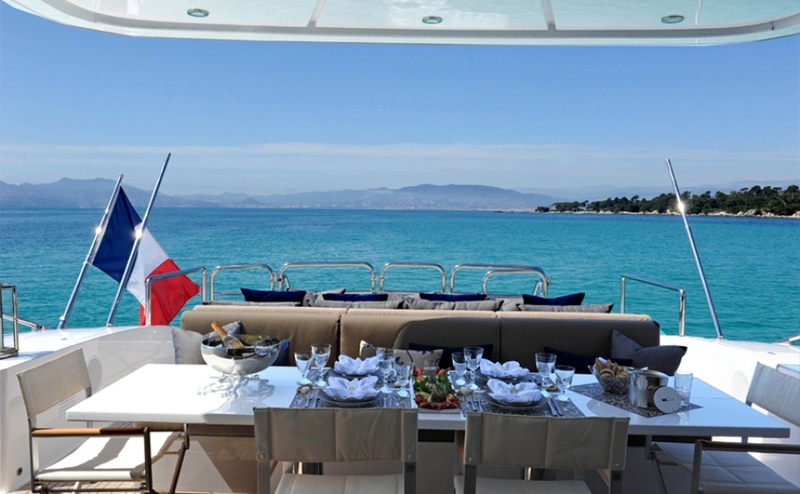 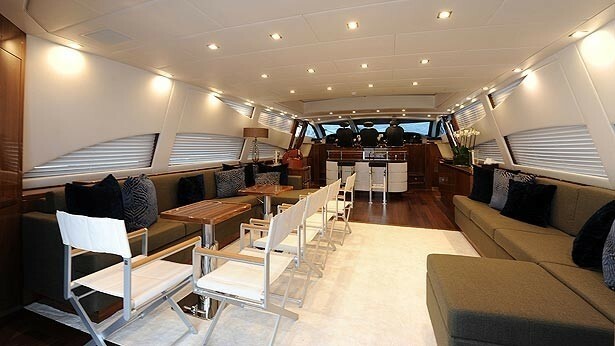 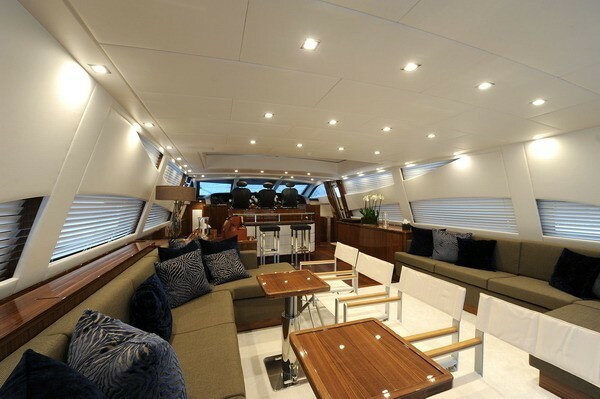 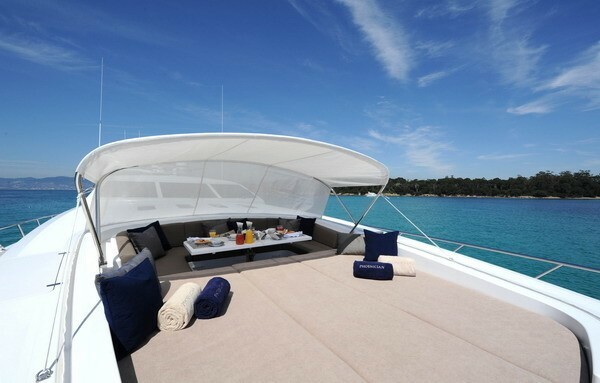 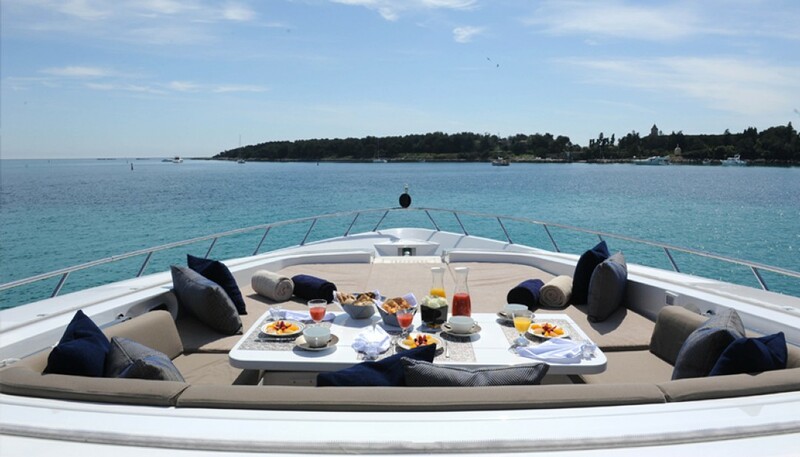 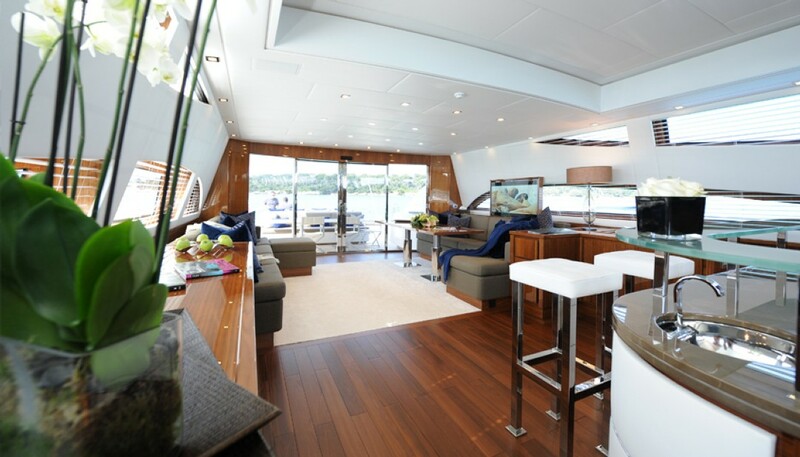 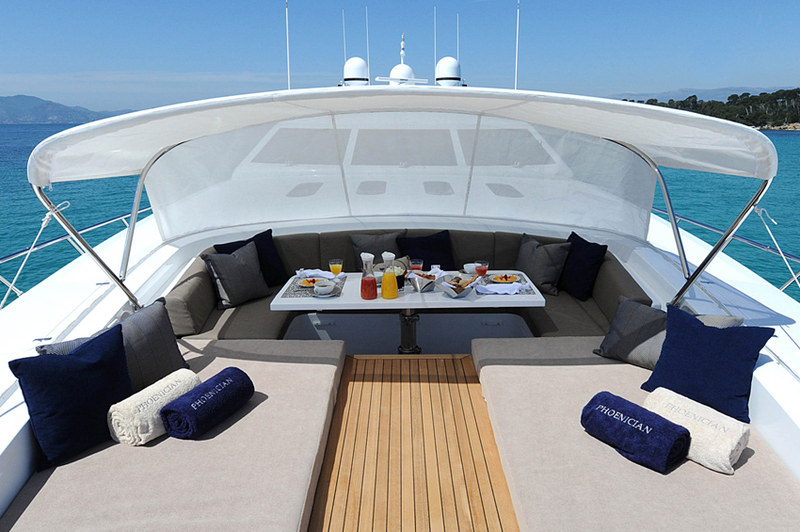 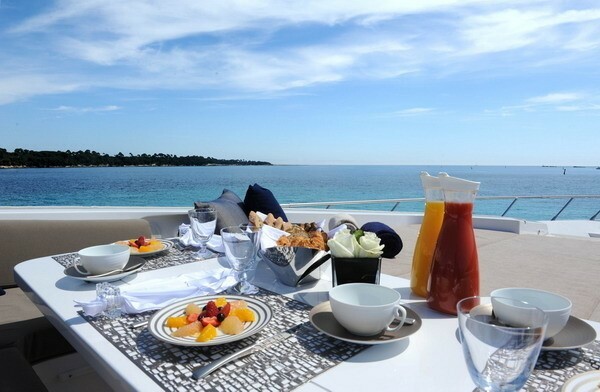 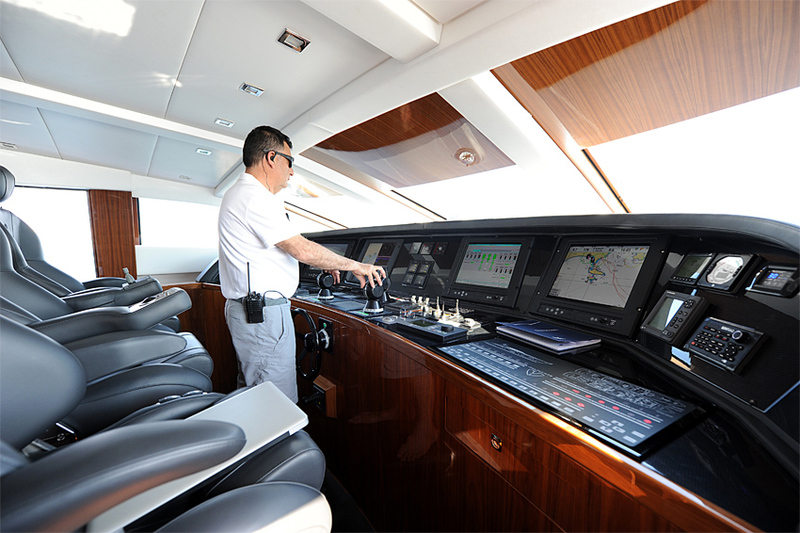 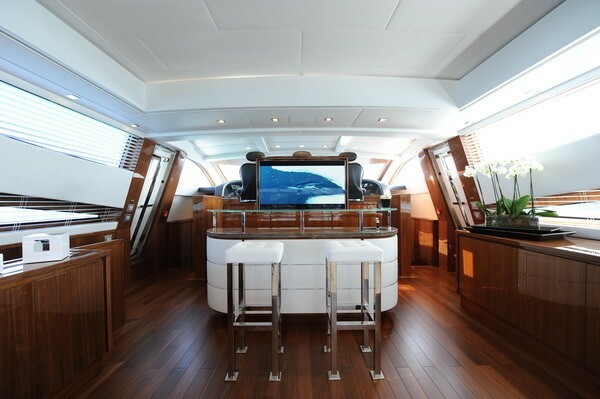 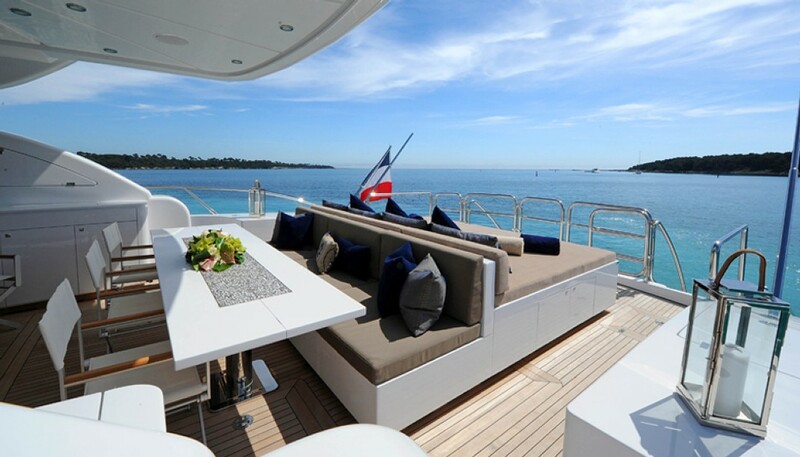 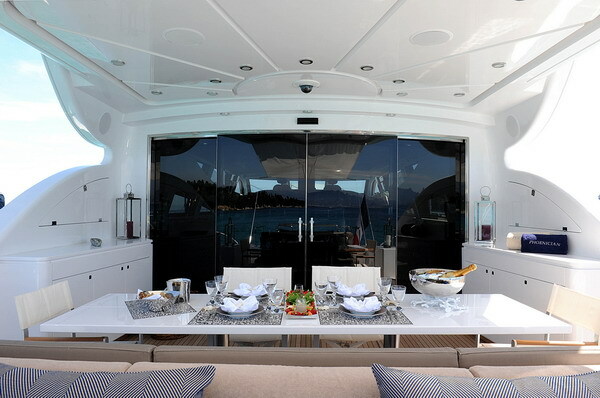 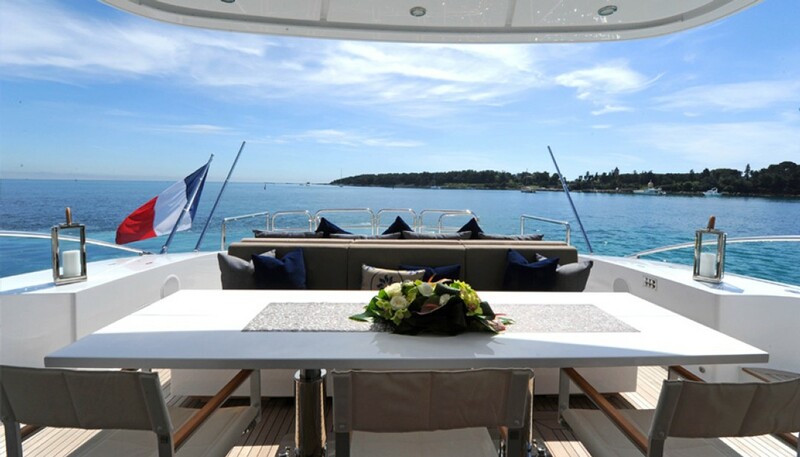 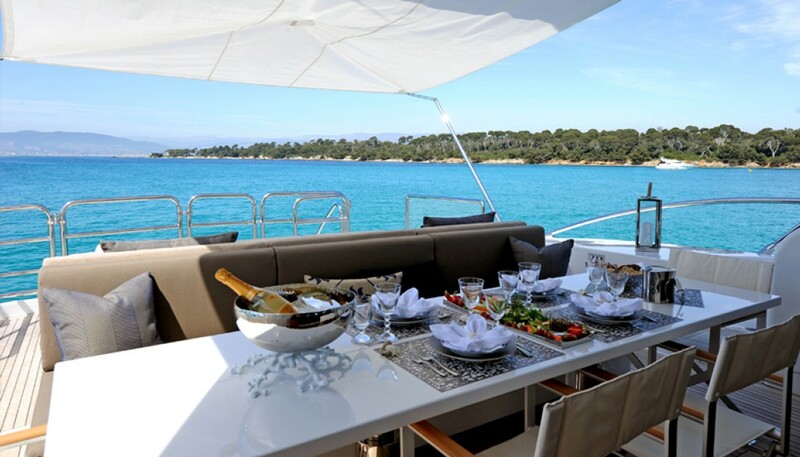 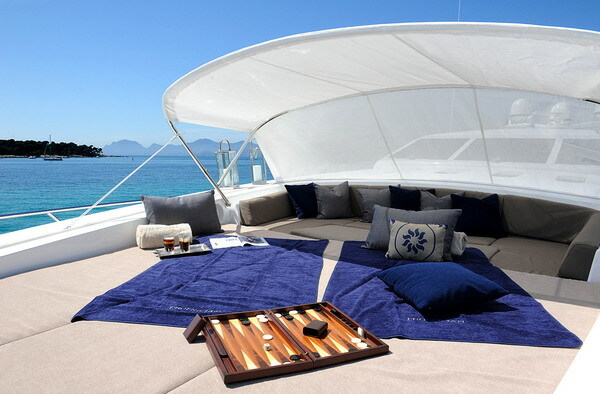 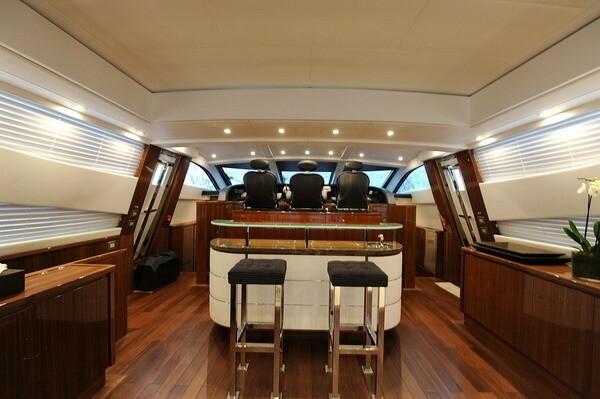 On the port side, there are two tables, which convert into a dining area for eight persons. 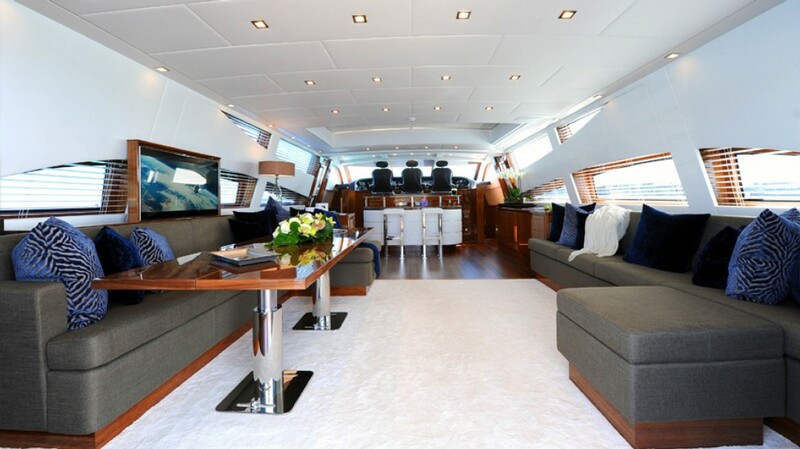 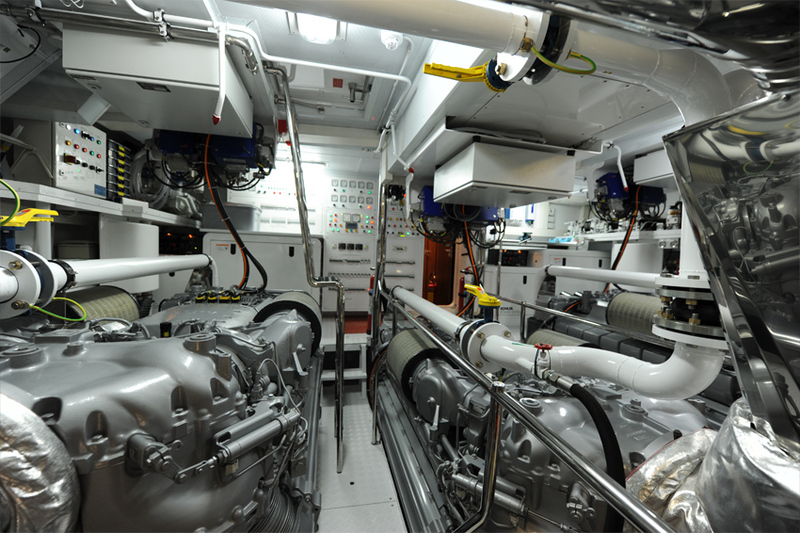 Triple MTU 2400 hp diesel engines can propel the impeccably seaworthy Phoenician yacht to the impressive maximum speed of around 40 knots and a cruising speed of around 35 knots. 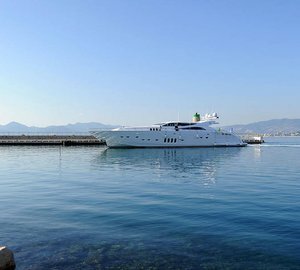 Her beam is of 7,35m (24'11''), while her draught is of 1,2m (3'94''). 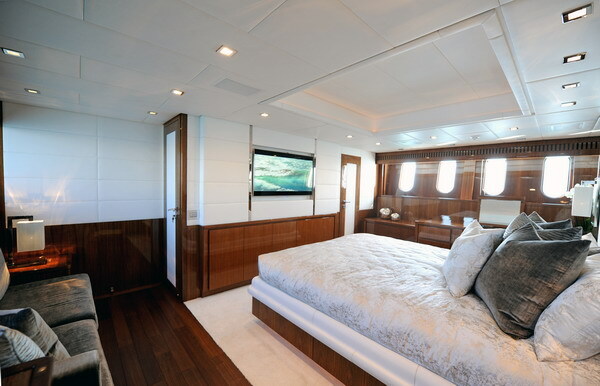 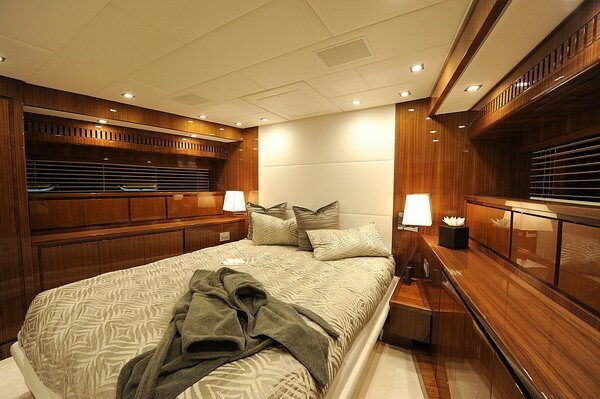 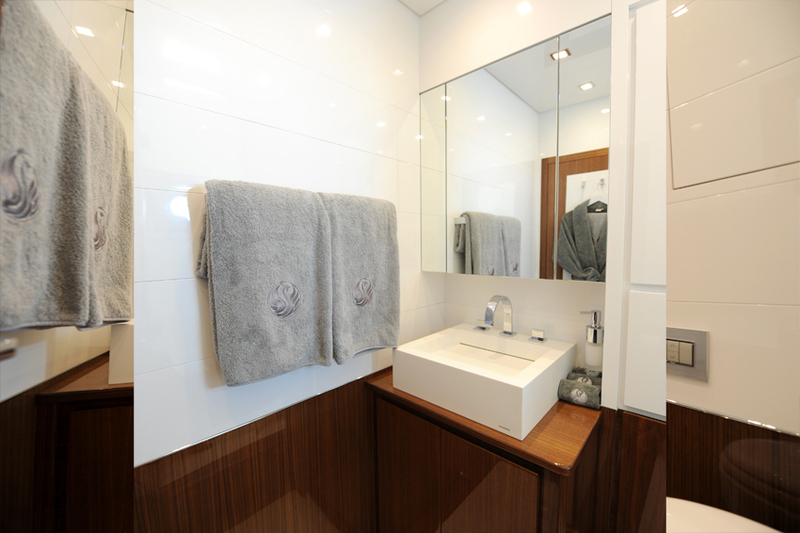 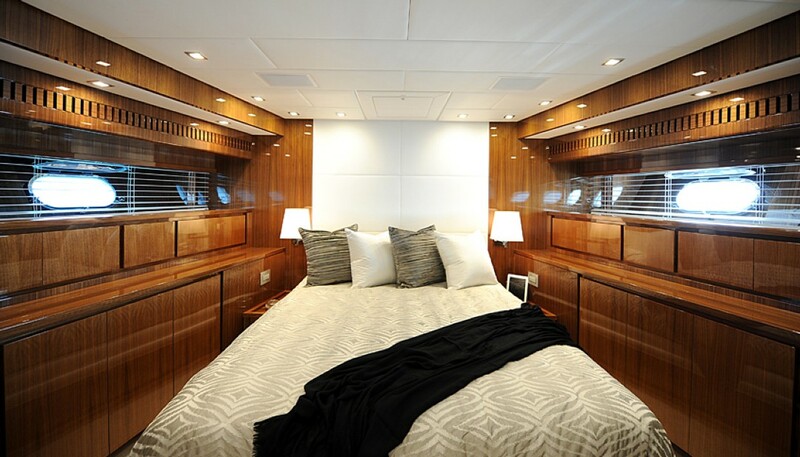 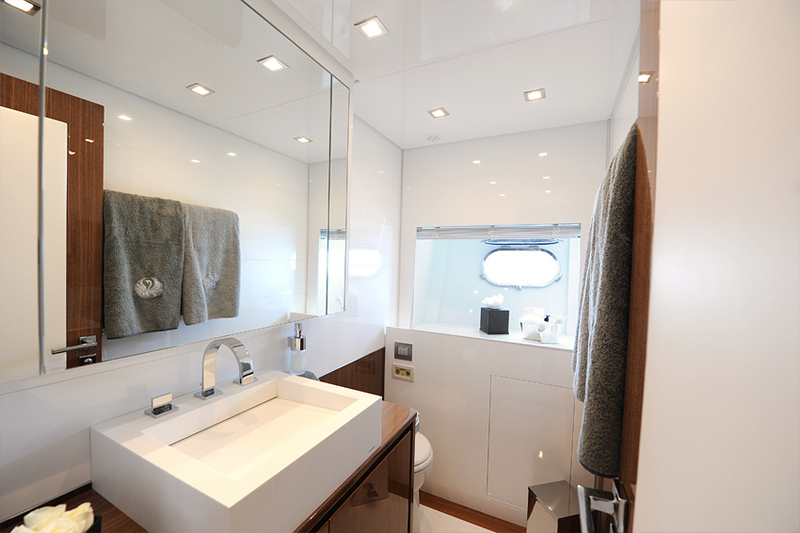 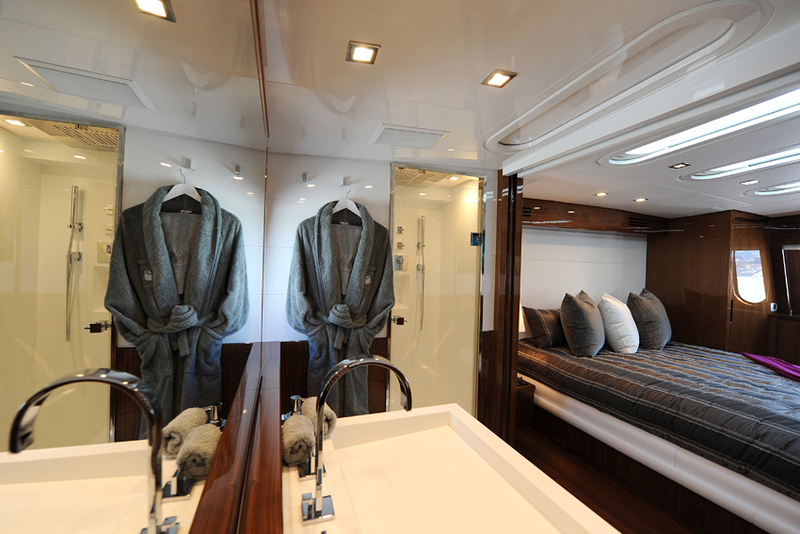 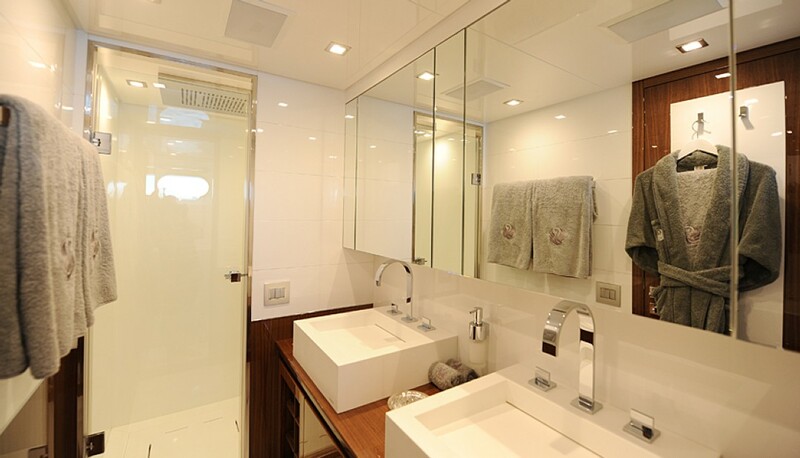 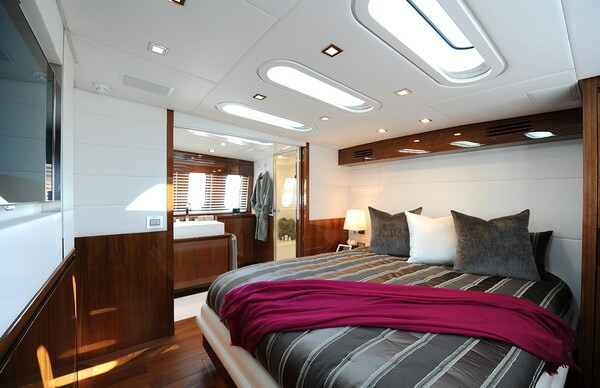 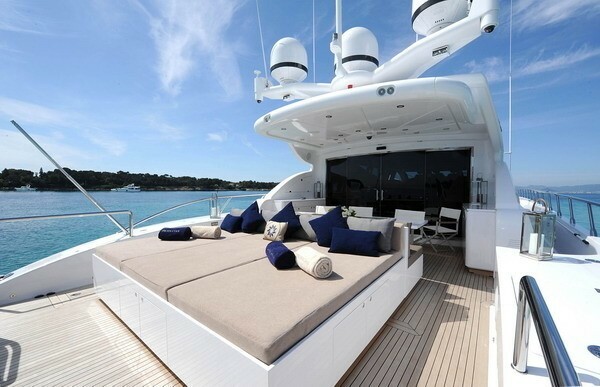 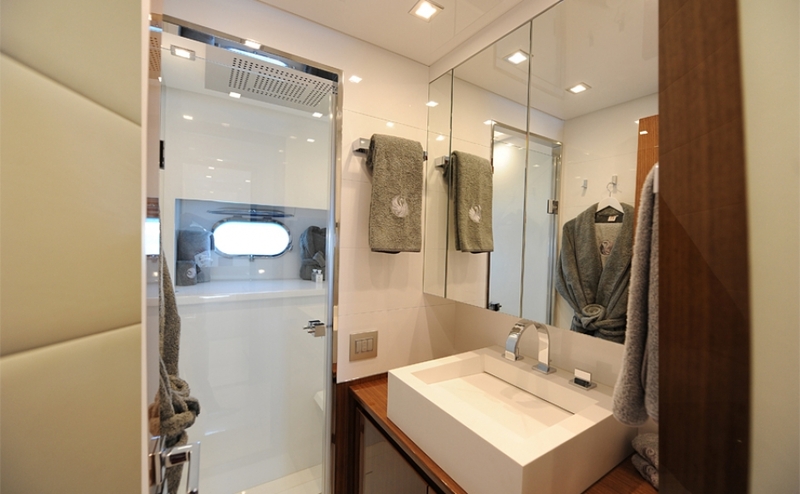 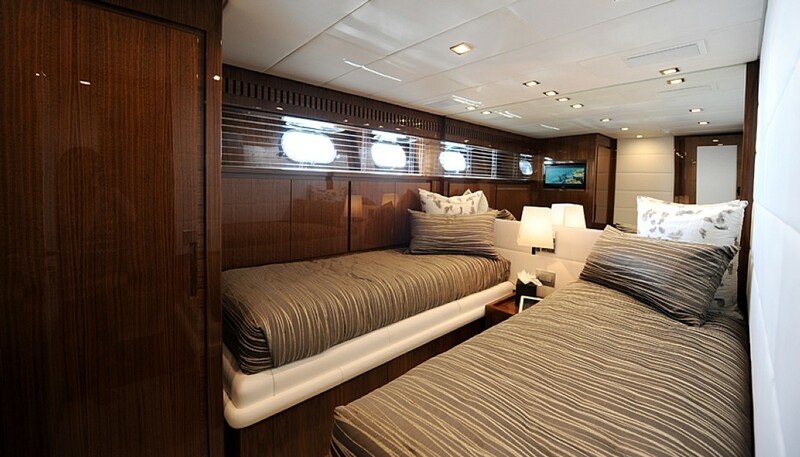 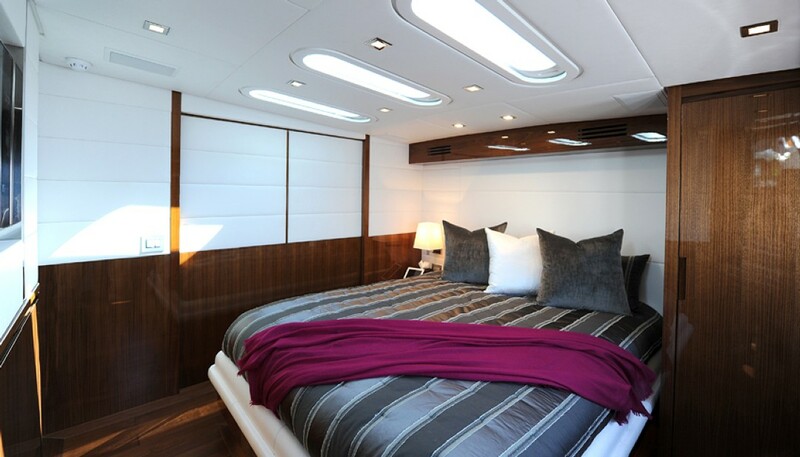 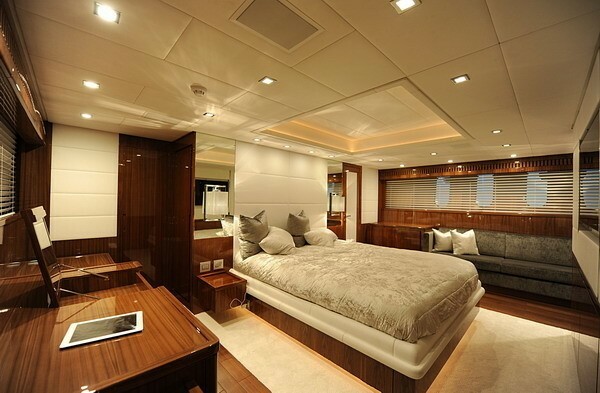 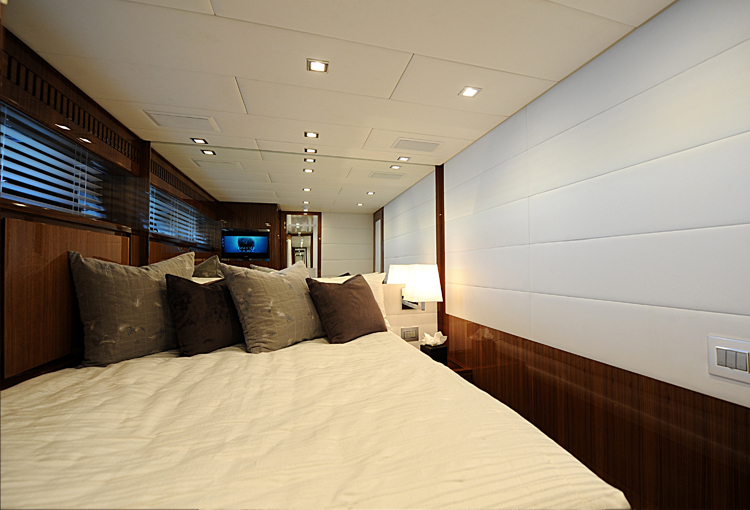 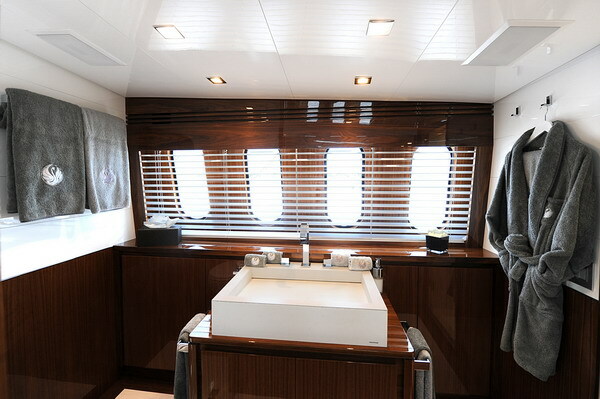 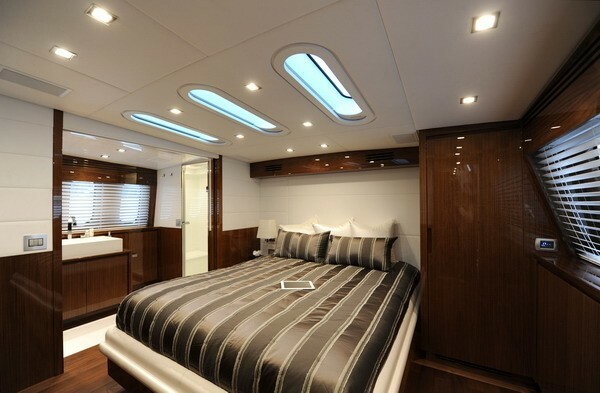 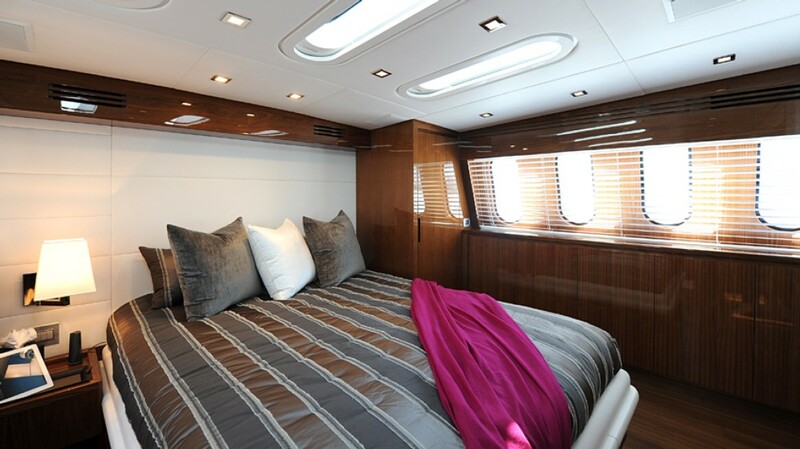 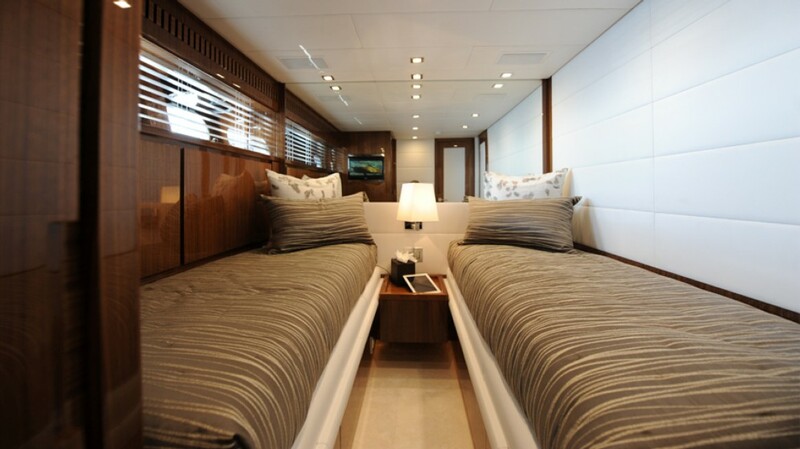 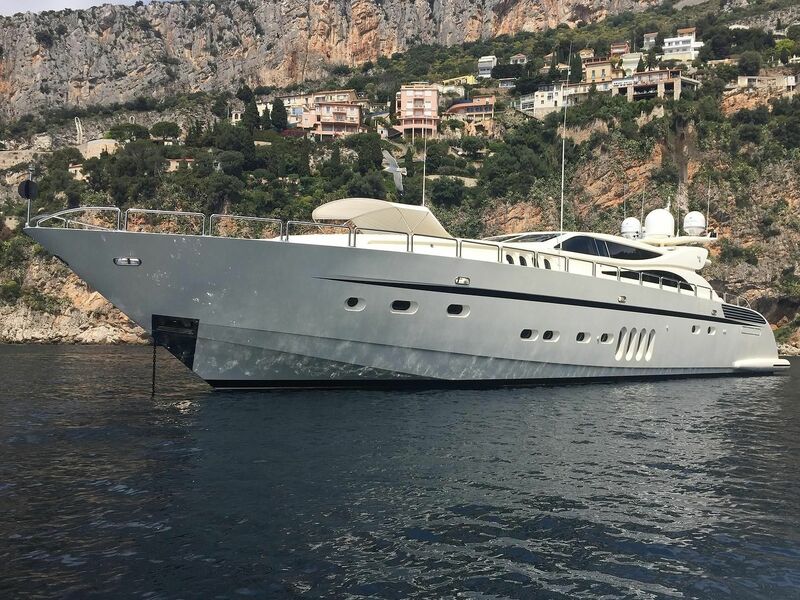 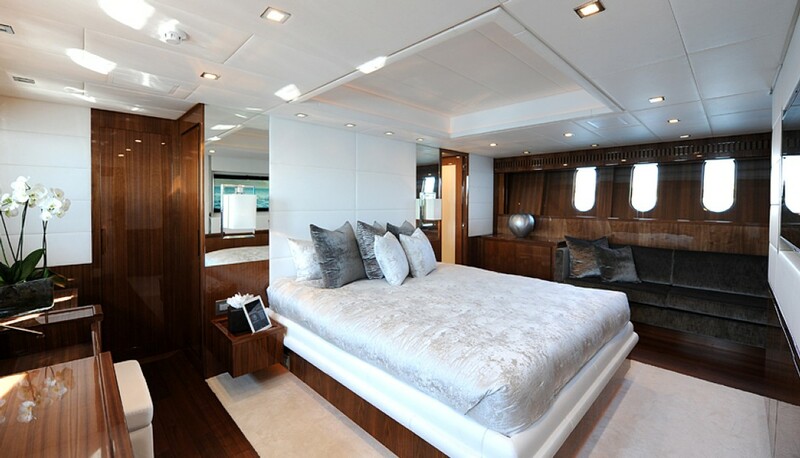 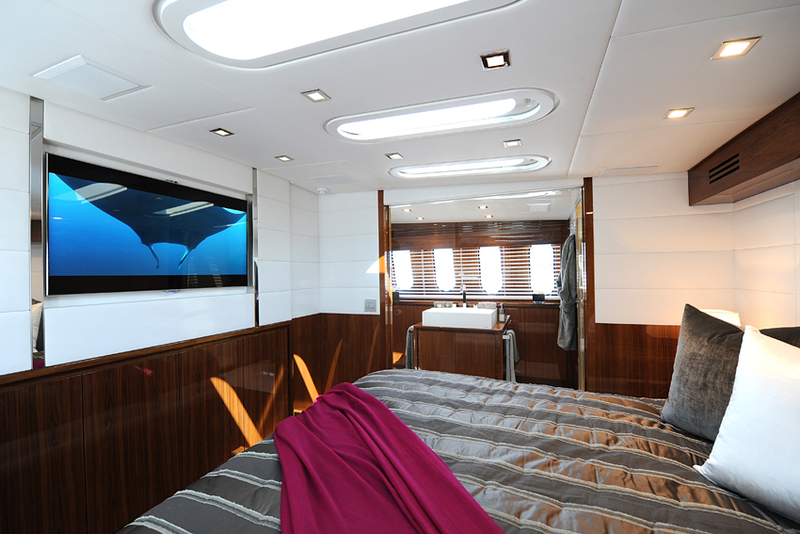 Italyachts 34 yacht Phoenician offers beautiful and elegant accommodation in 5 well-appointed cabins. 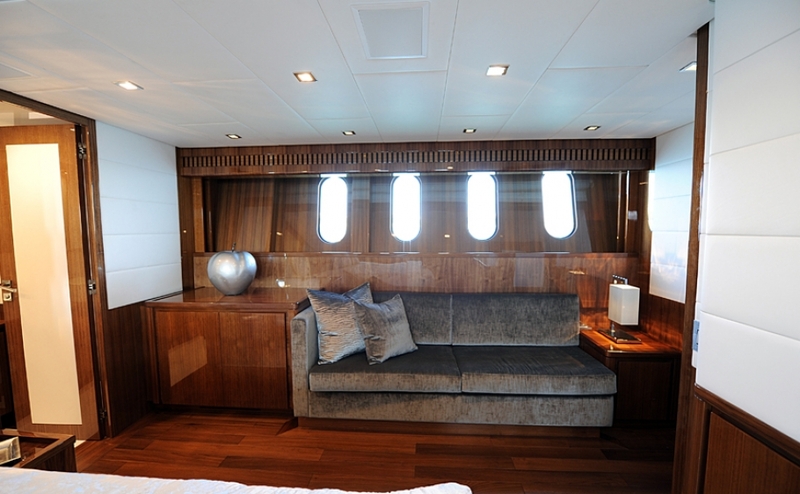 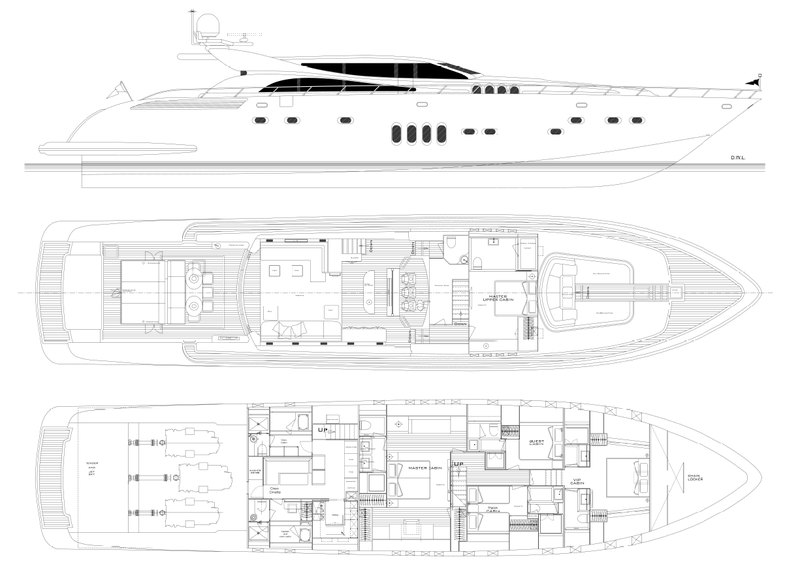 These include a very large master cabin, along with two VIP cabins, one double and one twin cabin.